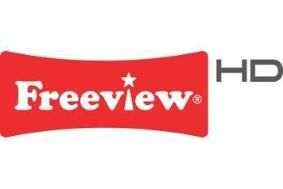 Sales of Freeview HD hardware pass the one million mark | What Hi-Fi? In the nine months since Freeview HD's launch, Freeview estimates that 642,000 UK homes are now watching Freeview in high definition. Freeview HD sets accounted for 22 per cent of the digital TV market in December, while Freeview+ HD recorders outsold standard Freeview HD boxes by a factor of two to one in the same month. Central and Anglia will be the next TV regions to begin digital switchover, and by the end of 2012 98.5 per cent of UK viewers should be able to receive Freeview HD broadcasts. "Reaching this milestone within the first year of launching Freeview HD is a great achievement," says Ilse Howling, Freeview's managing director. For the full breakdown of consumer electronics sales in 2010, see our special blog.